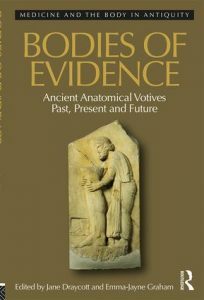 The first half of 2017 has seen the publication of several new books by members of the Ancient Body cluster in the department of Classical Studies, so we thought we’d share with you some further details. 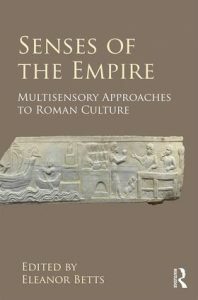 Eleanor Betts (ed) (2017) Senses of the Empire: Multisensory Approaches to Roman Culture (Routledge). For more see the Routledge website. Jessica Hughes, (2017). 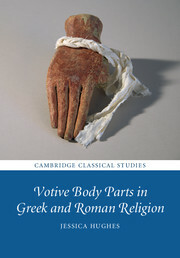 Votive Body Parts in Greek and Roman Religion (Cambridge University Press). For more see the Cambridge University Press website. Jane Draycott and Emma-Jayne Graham (eds) (2017). Bodies of Evidence: Ancient Anatomical Votives Past, Present and Future (Routledge). This entry was posted in Publications on May 26, 2017 by Emma-Jayne Graham.